Jose Mourinho maintained his record of no manager ever completing a league double over any team he has managed in the Premier League, as Manchester United came from behind to deny Manchester City the chance to secure the title in an unforgettable derby at the Etihad. Pep Guardiola’s team went in at half-time with a 2-0 lead, through goals from Vincent Kompany and Ilkay Gundogan, but a remarkable second-half turnaround saw United seal all three points in front of a heartbroken home crowd. Two goals in two minutes from Paul Pogba drew the visitors level before Chris Smalling volleyed home the winner. 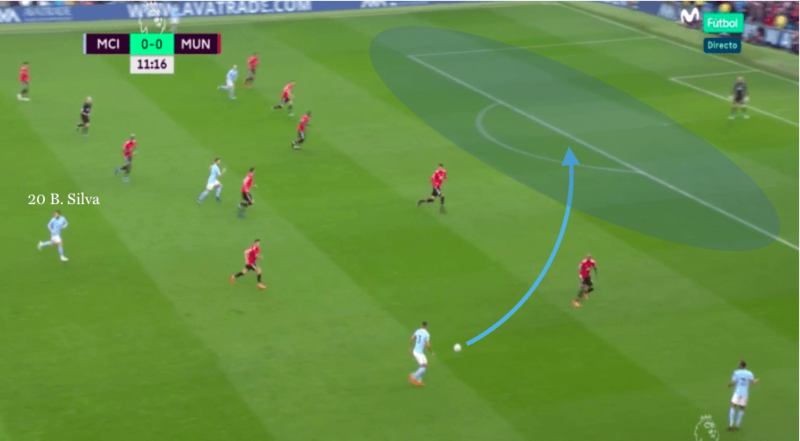 Here, our professional coaches analyse the key tactics and moments from United’s victory – and assess how the game fell apart for Guardiola and City. Manchester City set up with a 4-3-3 structure in possession, with Bernardo Silva included as a false nine rather than a central striker. Big-name players such as Kevin De Bruyne, Sergio Aguero and Kyle Walker were rested ahead of a crucial Champions League tie against Liverpool, providing opportunities for fringe players to impress. From the outset, City asserted their dominance in possession. Bernardo Silva looked to drop short as the false nine and, alongside David Silva, Ilkay Gundogan and Fernandinho, enabled the hosts to create an overload against Manchester United’s central midfield trio. Nemanja Matic struggled, as he was left isolated in attempting to both delay City’s chief playmaker in Fernandinho and block the movements of Raheem Sterling. Despite creating the central overload, City found it difficult to carve out any meaningful chances. While the movement of Bernardo Silva enhanced their build, it also hindered their penetration. It was clear City needed more runs in behind within the final third. 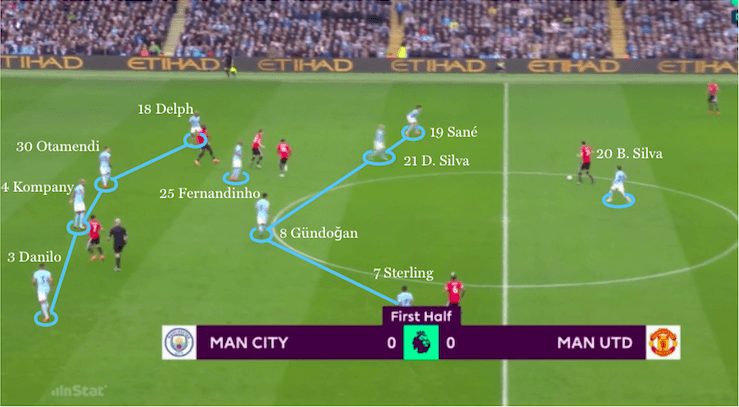 Noticing this, Pep Guardiola moved Sterling into the false nine role, with Bernardo Silva moving out to right midfield – and City’s attacks improved dramatically.  Sterling also dropped short, but crucially made a second movement in behind United’s defence. Eric Bailly was lured out of the defensive line by this pattern, consequently creating a gap for City to penetrate. The home side took the lead with a powerful header from Vincent Kompany, who outmuscled Chris Smalling to head home past David de Gea, thus sparking the home side into life and becoming the catalyst for further attacks. With Bailly repeatedly dragged out of position by Sterling, David Silva and Gundogan added additional penetrating runs in behind – and it was the latter who doubled City’s lead. A free-flowing move began with Sterling receiving short, again pulling Bailly out of position. Gundogan glided forward, through the heart of the United defence and, on the turn, poked the ball past De Gea to give City a 2-0 lead. Sterling did waste additional chances in the first half, however. Had they been taken, both the points and the title would have been City’s. 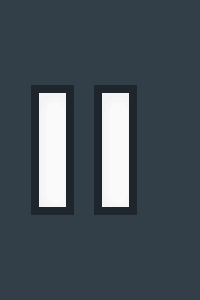 The second half was unusually different for City. They not only lost their central overload, but also their deep-lying playmaker, as Alexis Sanchez and Jesse Lingard harried Fernandinho with aggressive pressing. This freed up Paul Pogba, who was subsequently able to breach City’s back line with ease and twice finished well after latching on to incisive forward passes. Damage was further inflicted from a routine set-piece, delivered at pace and finding Chris Smalling to tap home the eventual winner on the volley. 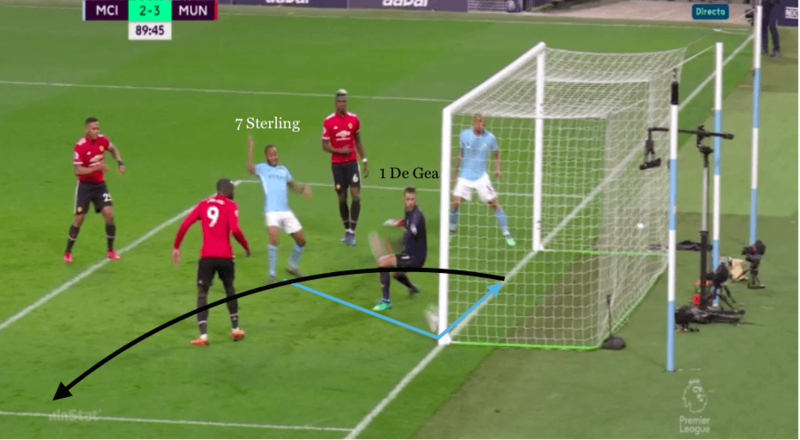 Despite late efforts to penetrate United’s solid low block, City rarely broke through – and, when they did, they found De Gea in typically inspiring form. Both De Bruyne and Aguero were introduced, but to little effect, leaving the home side to accept defeat to their biggest rivals. 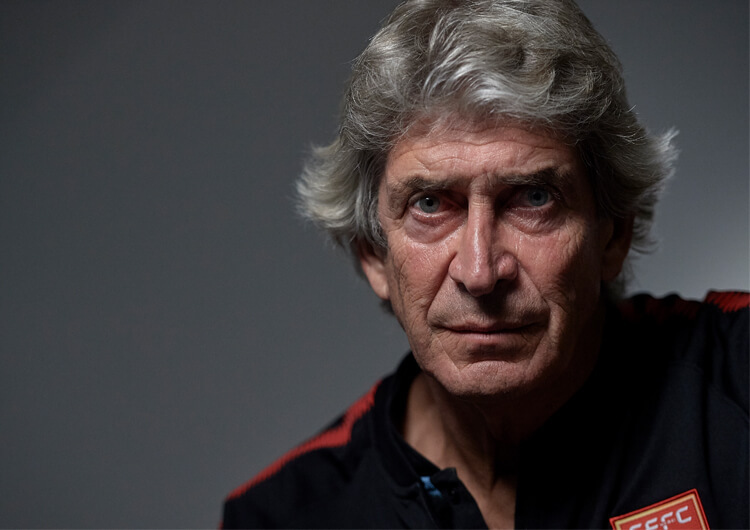 Manchester City deployed a 4-1-4-1 formation in defence, with Fernandinho sitting in front of the defensive line. Raheem Sterling and Leroy Sane came inside, congesting central areas of the pitch. 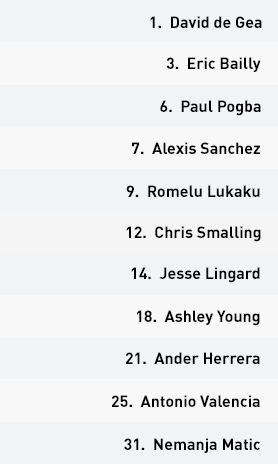 This reduced Manchester United to build using longer balls throughout the game. Manchester United set up in a 4-3-2-1. Alexis Sanchez and Jesse Lingard aggressively pressed high, forcing Manchester City to build quicker than they may have wished. Paul Pogba played on the left of the central midfield three, helping Nemanja Matic and Ander Herrera protect the back line. Bernardo Silva began as a false nine for Manchester City. He dropped short to collect the ball and help overload United’s three central midfielders. Despite assisting with the build, a lack of second movement from Silva hindered the penetration, as City now had one player fewer ahead of the ball. 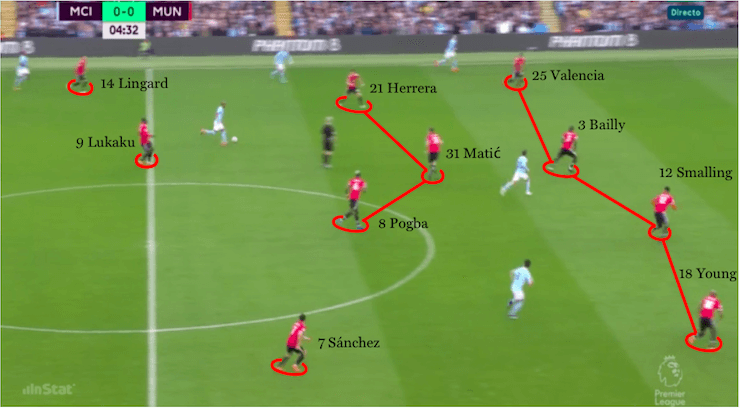 As City congested the pitch centrally, United continued to build with longer balls. Romelu Lukaku dropped short, creating space in behind for Sanchez and Lingard to run on to any flick-ons. Pep Guardiola moved Raheem Sterling into the false nine role, with Bernardo Silva moving out to right midfield. This created additional penetration for the hosts; unlike Silva, Sterling would move short and then make a second movement in behind. Eric Bailly struggled with Manchester City’s false nine rotation, often gifting City space to penetrate. With Sterling finding the gaps in United’s unco-ordinated back line, City created a number of chances to add to their lead. In the second half, Sanchez and Lingard aggressively pressed inside from their original wide positions, towards Fernandinho. 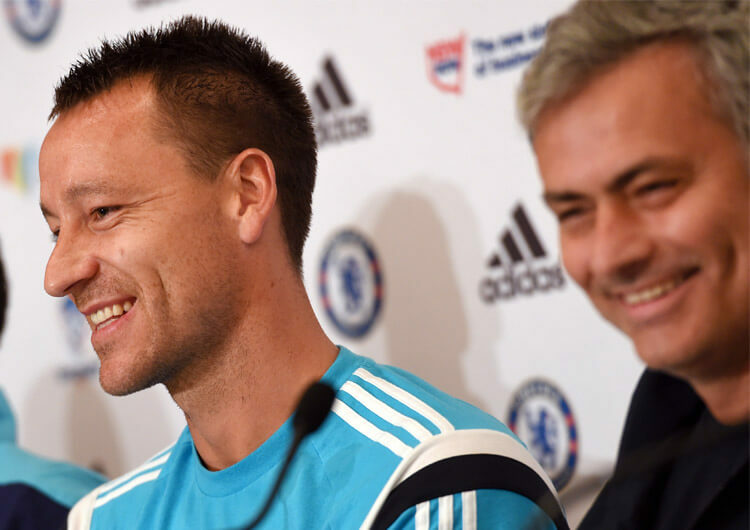 This nullified City’s central overload and disrupted their rhythm in possession. It also freed Paul Pogba to make unchallenged forward runs from the left side. After losing their central overload, City struggled to deal with Pogba's late surging runs. Coming across from the left side, he often got forward unmarked, penetrating City’s back line. United continued to play longer balls, but crucially they now had a powerful runner to attack these deliveries. With City shocked, Manchester United converted into a deep low block, frustrating the home side. Despite regaining the majority of possession, City struggled to infiltrate United’s solid defensive framework. City came agonisingly close to grading a late equaliser. David de Gea made two world-class saves to preserve United’s lead. In the final few seconds, Sterling prodded towards goal, but De Gea scrambled his effort away. Manchester United began with a 4-3-2-1 formation, with Paul Pogba accompanying Nemanja Matic and Ander Herrera in central midfield. Alexis Sanchez and Jesse Lingard provided support for Romelu Lukaku with runs in behind. As was to be expected, United didn’t acquire long spells of possession in the early stages. 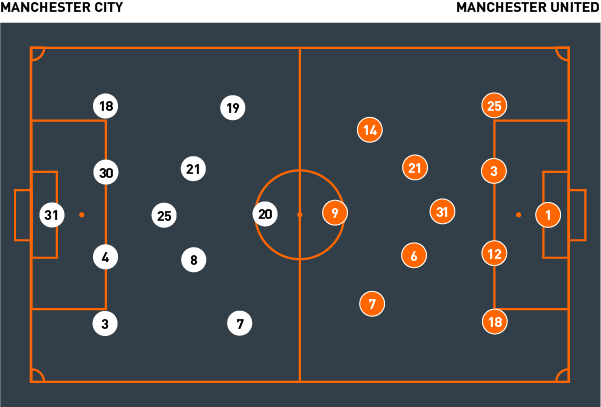 Despite this, they looked solid as a defensive unit, with minimal penetration from the home side to contend with. Fernandinho, however, was allowed time and space on the ball from deep, as Matic was occupied blocking the dropping movements of Bernardo Silva. In possession, United looked to build through longer passes. This was partly in reaction to City’s congested overload within central areas. Jose Mourinho’s team recognised it would be more effective to play over rather than through City, and with the presence and power of Lukaku, longer balls also seemed a more realistic option in building meaningful attacks. As Lukaku often dropped short, pulling away from Vincent Kompany, space opened for Sanchez and Lingard to run in behind and latch on to potential flick-ons. Despite initially looking solid at the back, United conceded the first goal from a corner – this gave City a dramatic confidence boost and the visitors’ defence began to creak. 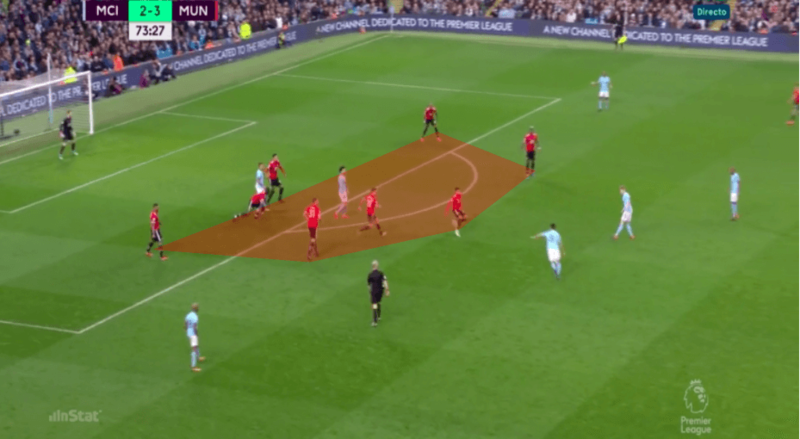 In order to take the sting out of the home side’s momentum, United should have looked to prolonged periods of controlled possession; however, they continued with long balls forward with limited success, often gifting City possession back. If it wasn’t for poor finishing from Raheem Sterling, United could have gone in at half-time 4-0 down. It was obvious in the second half that United’s defensive game plan had changed. 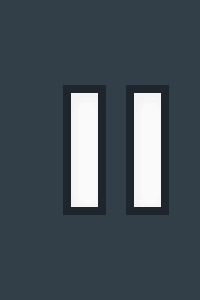 Sanchez and Lingard now pressed inside, simultaneously squeezing Fernandinho from both sides. As they pressed, they also blocked passing options out wide. City, and Fernandinho in particular, were consequently forced to make central passes. The central overload had now turned in United’s favour, with the addition of Sanchez and Lingard to their central midfield three making it five against four in the centre of the park. From this, Pogba was now free to make late – and unchallenged – forward runs. United continued to build through longer balls, but they now crucially had an additional runner. 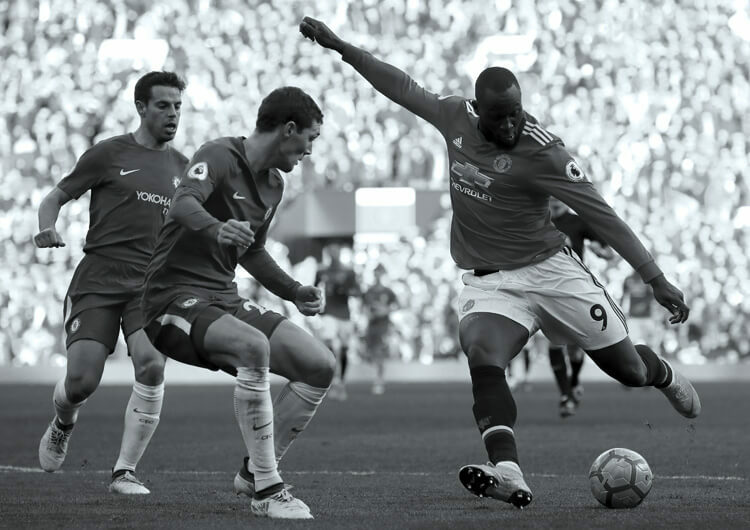 With the majority of the City defenders concerned with the position of the ball and Lukaku, they were oblivious to the movement of Pogba, who twice glided forward and finished well from close range. Once an unmarked Chris Smalling had put the away side ahead with a simple volley from a set-piece, United formed a deep block, repelling any attack from the home side. City rarely broke through the defence and, when they did, David de Gea was on hand to ensure that United left with all three points. The match’s main key battle involved the movement of Manchester City’s false nine. Bernardo Silva began by dropping short, creating a central overload of four against Manchester United’s central midfield three. Nemanja Matic was forced to block Bernardo Silva’s movements, leaving Fernandinho free to control the rhythm and tempo of the match. But despite City having most of the possession, they struggled to penetrate in behind. Silva’s dropping movements took away a player ahead of the ball, meaning David de Gea was rarely troubled in the opening exchanges. 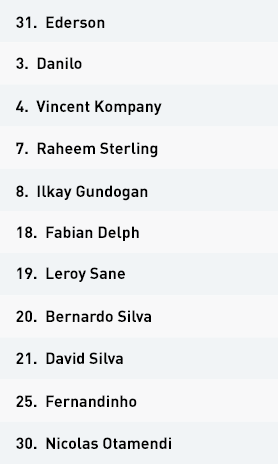 Once Raheem Sterling swapped with Silva as the false nine, City began to create effective chances. 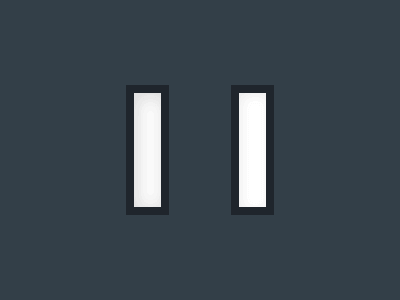 Sterling continued to drop short but crucially added a second movement, spinning and sprinting in behind to support the attack. This caused problems for Eric Bailly, who was often dragged out of shape, at the heart of the United defence. City’s control of the game dwindled in the second half. 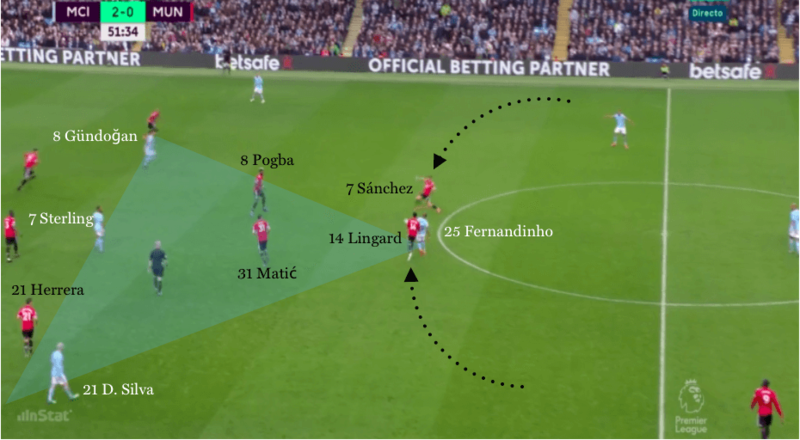 Alexis Sanchez and Jesse Lingard pressed infield, squeezing and harrying Fernandinho – who was forced to play into the middle, where the overload was now in United’s favour. This freed up Paul Pogba, who now had the space to make diagonal forward runs from the left into the centre. Pogba scored both quickfire goals that brought United level, with the home side unable to deal with the power and control of United’s direct passing.